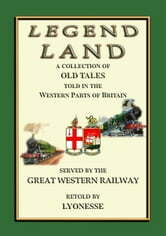 This volume contains 12 ancient legends from the England’s West Country of Devon, Cornwall and Wales plus two supplements, "The Furry Day Song" and the iconic “Trelawny”, also known as The Song of the Western Men. In this volume you will also find stories like The Mermaid Of Zennor, The Stone Men Of St. Cleer, The Giants Who Built The Mount, How Bala Lake Began and more. This small volume was an early form of Great Western’s modern day “Top 10 Things To Do” and gave the rail traveller a list of English, West Country legends to look up and places to see. 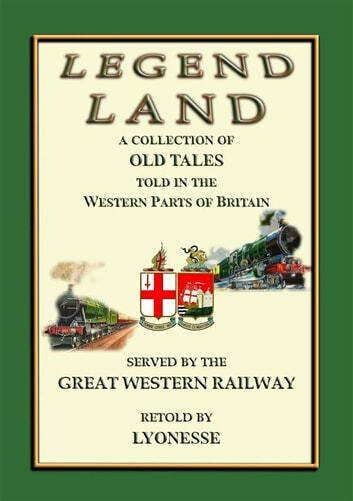 It is a reissue in book form of the first series of The Line to Legend Land leaflets, originally published by the G.W.R. in 1922. In older, simpler days, when reading was a rare accomplishment, our many times great-grandparents would gather round the blazing fire of kitchen or hall on the long, dark winter nights and pass away the hours before bedtime in conversation and story-Telling. In some cases a storyteller would visit a village and the whole community would crowd in to the largest room in the settlement to listen to the spoken word. These are a direct recording from the legends spoken by some of the last storytellers of England and endeavour to retain a degree of the vernacular which gives these legends a new life.